It's so nice to be able to use our stamps in different ways like this and stretch our stash! First I die cut several pieces to use for a background. I die cut the white scalloped piece, the white frame and the turquoise piece with the polka dots. I adhered these pieces while I worked on the rest of the components for the card. 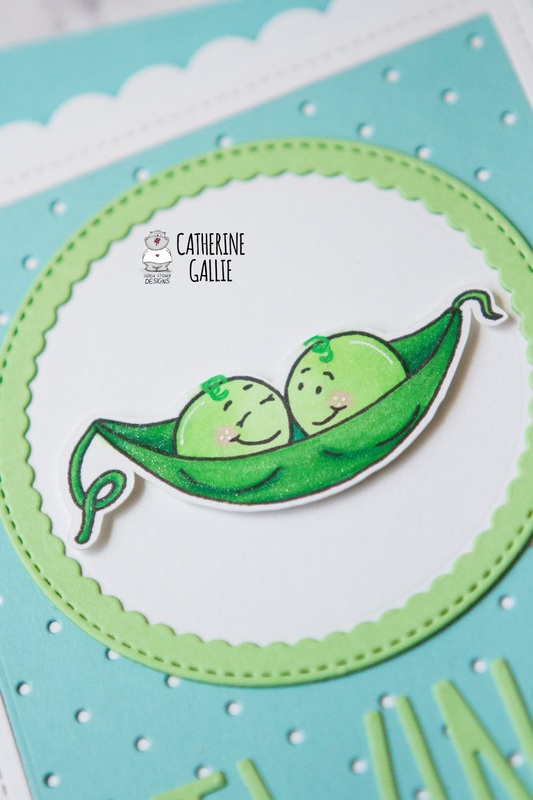 Next I stamped and coloured the cute pea in the pod image and coloured it in using Copic markers. I cut it out using my Scan n Cut but there are coordinating dies available. I wanted the peas to look a little more baby-like so I added a little green curl to the tops of their heads. I also added some shimmer to the pod using a Nuvo shimmer pen, though it can be hard to see in the photos. 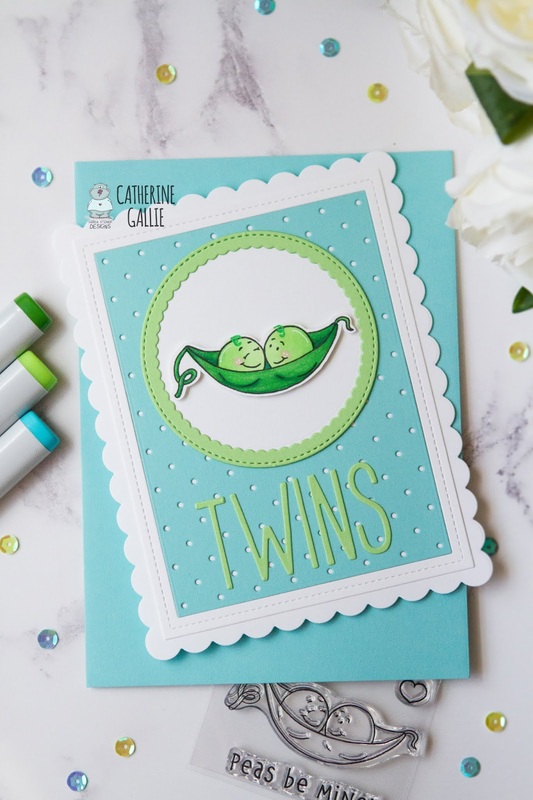 I die cut a white circle and then a green scalloped frame for the pea image to sit on and adhered these to the semi-completed card. The image was then adhered to the circle using foam tape. To finish, I die cut the letters to spell out 'twins' and adhered them also. I hope you like my card for today, thank you for popping by.